Home Informations Guides and Advices for Chihuahua Chihuahua mating, Guide and Advices. Chihuahua mating, Guide and Advices. 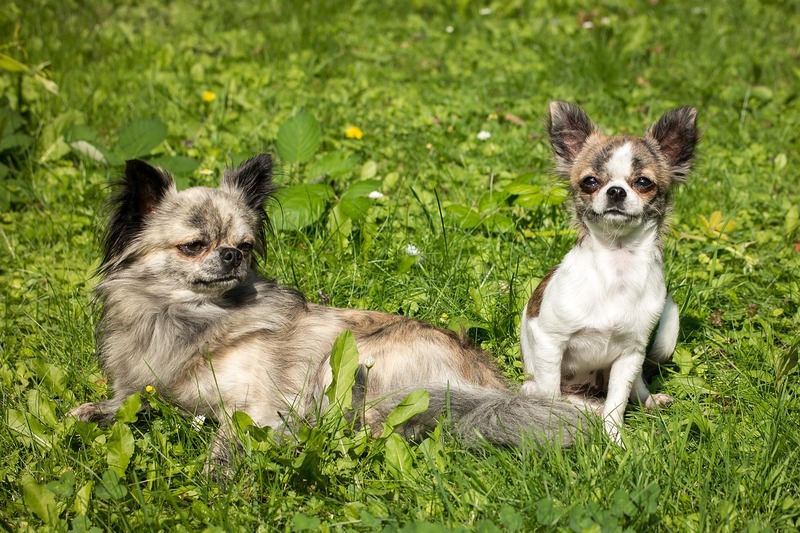 If you want to match your Chihuahua, whether this is a male or a female, you will first have to prepare well on the subject in order to organize yourself optimally and be able to intervene when necessary. First of all there is the choice of the partner; the female should not be more than five years old, since after this age she may experience problems of hypo fertility or health during pregnancy or after delivery. The two dogs must socialize before the fiery encounter and you will have to make sure that the two get along or at least do not end up fighting each other! If you want healthy and purebred puppies you will have to thoroughly analyze the pedigree of the two, and to verify that they are compatible and that they do not risk transmitting important pathologies to the offspring, and therefore it is advisable to seek the help of a veterinarian. Before coupling is considered necessary to also examine the momentary health of two dogs to make sure that there are no diseases, with a simple check-up. Even the size of the dog can affect the outcome of pregnancy, since, for example, if the male is conspicuously larger than the female, she will risk incurring the need for a caesarean which is not free from risks to her health. When you have chosen the most suitable partner, you can move on to the actual act. The dogs then meet in a quiet and familiar place to at least one of the two in which there must be no one besides them and their owners or companions who must still have the trust of the dog. In the room there should not be any other pets, even if well familiar with the subjects, which could interfere with the coupling. The female must be in the estrus phase: the moment of greatest fertility should be around the eleventh day after the appearance of small blood loss. At this point we proceed with the coupling itself. Although it may seem improper, it is advisable for a person to hold the female firmly by the head and shoulders, so as to prevent her from running away or, worse, trying to bite the male. It may not seem like this but this last situation is very frequent and the male can also report serious damage. Once the mating has ended the two lovers will still find themselves “tied” to each other for about half an hour or more. It is good also here to try to contain and reassure the dogs since, if they tried to forcibly separate, they could bring both serious damage to the sexual organs, compromising even a possible act done later. In fact it is a good habit two or three days after the first time, to repeat the operation so as to ensure an extra probability that the coupling will be successful. Once the appointments have been completed, it is advisable to mark the dates in which they occurred and, after waiting for about twenty days, start making regular checks on the female, to check whether she is carrying baby kittens or not. In addition, in case it is pregnant, the coupling dates will also be important in determining the eventual date of a caesarean if it will be necessary, which will also be calculated on the basis of a simple hormonal test. Not exclude the possibility of artificial insemination in extreme cases where the relationship cannot occur regularly for a variety of causes, as the extreme aggressiveness of one of the two dogs, or the enormous geographical distance, etc. 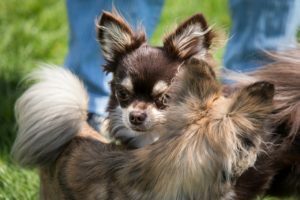 The mating and pregnancy of a Chihuahua is never a simple thing, is not a road to be taken lightly; there are many risks and possible complications, we must be very careful about the needs and care of the female and above all not to force the reproduction, if already in the previous pregnancies there were problems. In case you decide to have a Chihuahua dog at home, arm yourself with caution, patience and a good vet! Previous articleTraveling by car with our Chihuahua, Guide and Advices. Next articleThoughtful Mother buries its dead chihuahua puppy. Heart-warming!